The balloon towers more than 8 stories high, filled with nearly one-fifth of a million cubic feet of hot air. 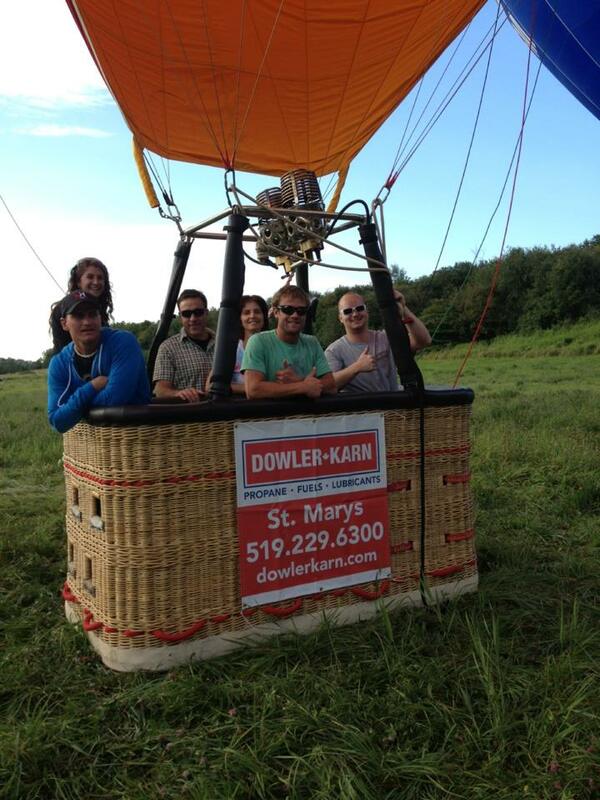 It carries 6 passengers into the Ontario skies. 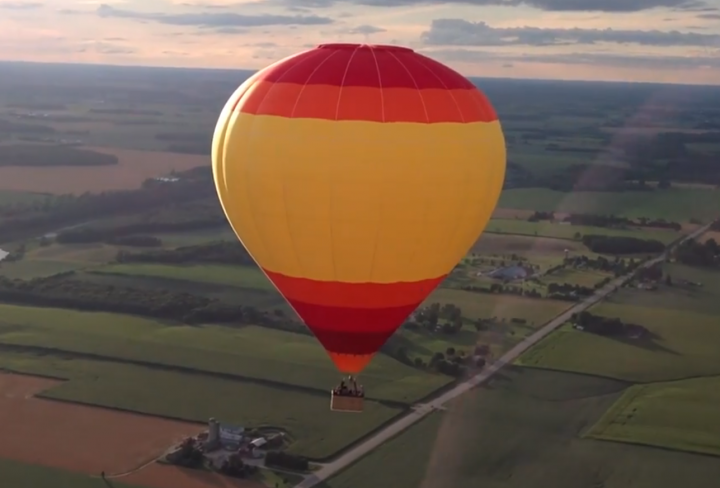 By comparison, the new balloon is two to three times the size of a standard two-person balloon. 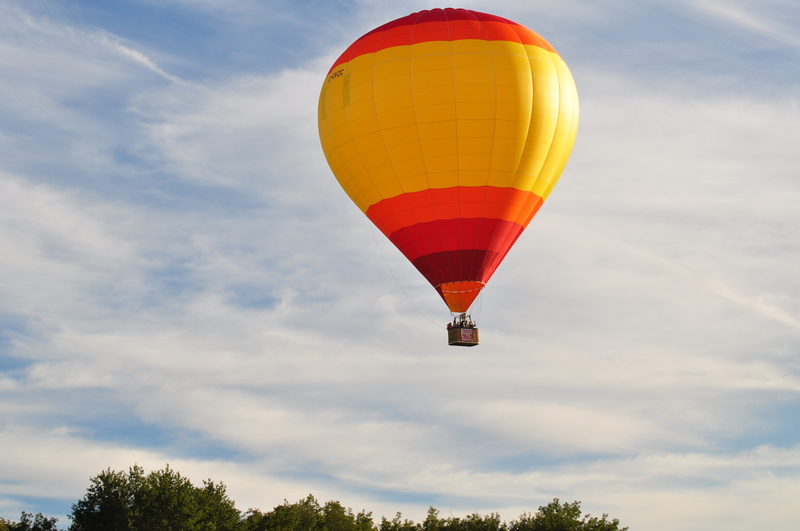 A typical balloon would hold about 2 people and contain about 77,000 cubic feet of air in the envelope, which is the top part. This new balloon will hold 6 passengers and contain 160,000 cubic feet, You could fly the average balloon inside this balloon!